At Choice in Aging, we understand that we don’t just serve our clients, we serve caregivers as well. In addition to providing respite care, we offer services such as support groups and events designed especially for caregivers. 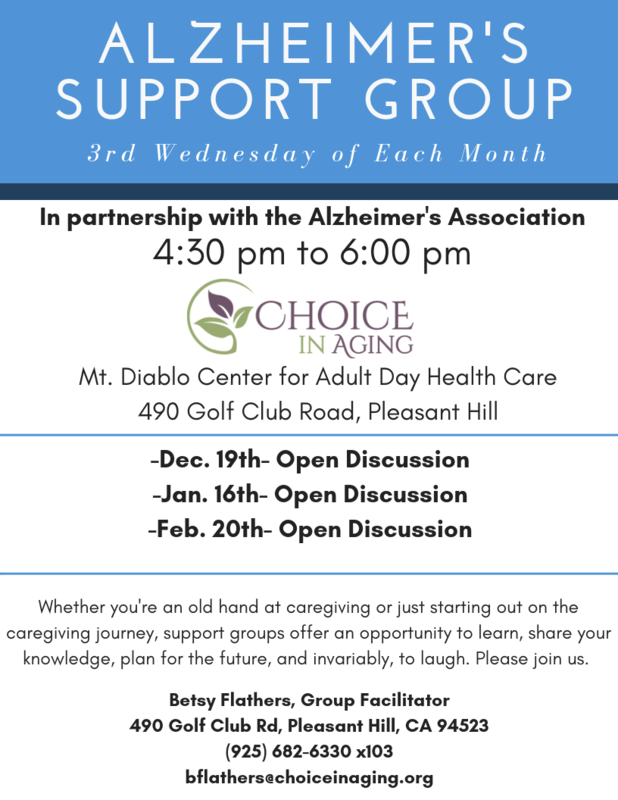 Choice in Aging, in partnership with the Alzheimer’s Association, is proud to present two FREE monthly support groups for caregivers and their families. The meetings address relevant and different topics each session. Navigating the life changing diagnosis of Alzheimer’s disease or related dementias can be overwhelming, but we are here to help! The Group strives to answer the tough questions whether you are an old hand at caregiving or just starting on the journey. The focus is learning, sharing, planning and invariably laughing! Support groups at Mt. Diablo Center are held the 3rd Wednesday of each month from 4:30pm to 6:00pm. Support groups at the Bedford Center are held on the third Monday or Saturday of the month and require an RSVP to attend. 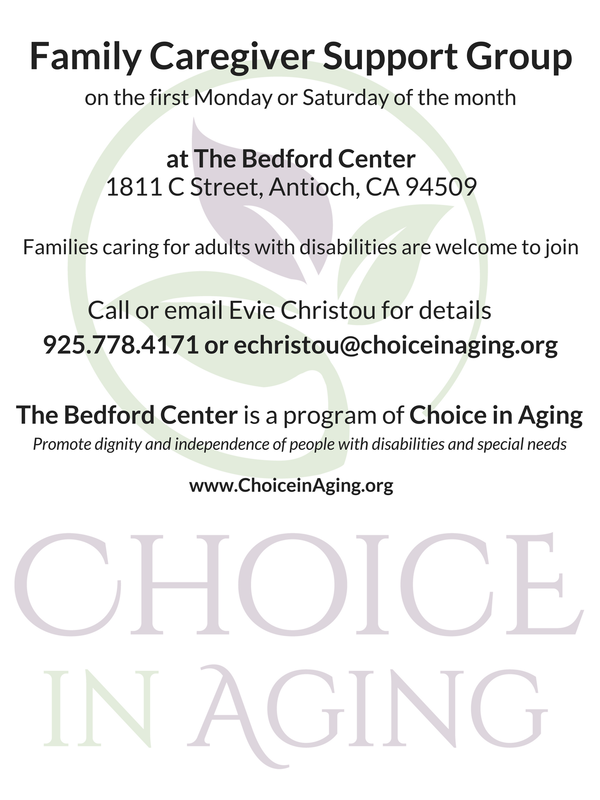 RSVPs can be made by calling Evie Christou at 925-778-4171 or by emailing echristou@choiceinaging.org. The support group is open to everyone and is FREE. For more information contact the group facilitator, Betsy Flathers for Mt. Diablo Center: (925) 682-6330 x103 or Evie Christou for the Bedford Center: (925) 778-4171. Support is a phone call away.